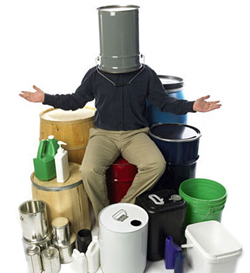 Drums, IBCs, Pails, Cans, Bottles, LiquiFolds - Great Western Containers Inc.
At Great Western Containers, we’re determined to be your partner in success and we’ve got the people, the product and the service to make that happen! Strategically located throughout Canada, Great Western Containers is your complete source of industrial containers and packaging supplies. We inventory product at all locations so that you can always access what you need, when you need it! From half ounce plastic bottles to 1,300 litre Intermediate Bulk Containers (IBCs), we are aligned with only the highest quality suppliers and continually source innovative products that will suit your packaging requirements. Being flexible has its advantages to you! Our turnaround on orders is fast and efficient as we inventory stock in each of our locations – four of which are ISO registered. As well, bring us your label designs and unique applications and we’ll get your product in the right package at the right time.